Michael F. Quirke & Sons manufacture high quality concrete blocks in a wide range of sizes and strengths. Our Blocks are certified to 771-3:2001 standard which ensures the best quality concrete masonry units are produced at all times. 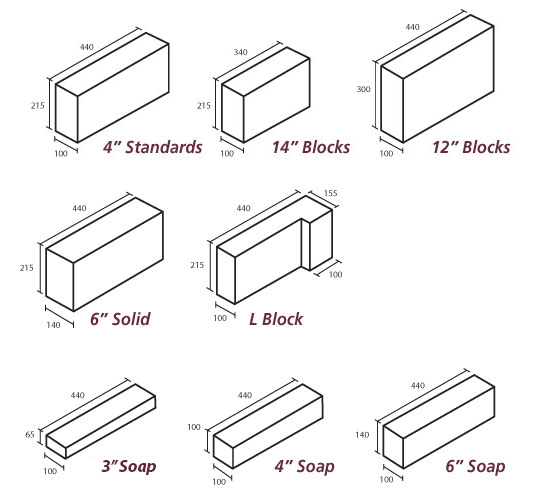 The following is a graphical representation of the various shapes and sizes of concrete block that we supply to the building industry.